In more common terms, it is initiating a small business with your own money by accommodating funds through your known and own sources. Nevertheless, a universal fact that needs to be understood here is that to start any business one needs motivation, self-discipline and a focus coupled with hard work and dedication. 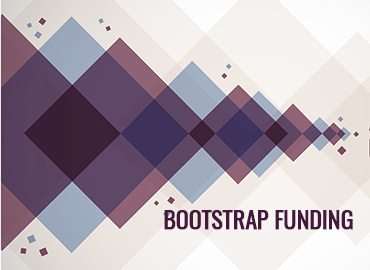 Agreed that are many types of funding that are available but to choose if boot strapping is the best optimum type of funding that is suitable for you or not, you need to have an idea about its advantages and disadvantages. You need not waste your precious time looking out for investment options. Instead you can focus more time on the actual business itself. Usually people who want to establish start-ups have a clear thinking along with a strategy outlined for the future. 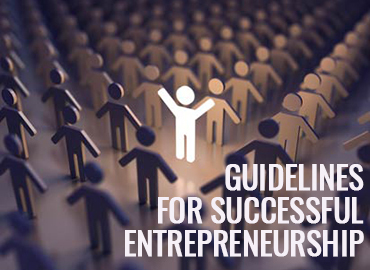 By having complete control of the business and taking decisions all by yourself, you can avoid many interruptions and confusions that usually arise in cases where you have venture capitalists or investors. You learn to work efficiently and spend money for meaningful things. Since you are the one who has chipped in your money, you would be very cautious on every penny that you spend. This is sure to improve your product and hence, improvise the overall customer experience. As you are the only owner of your business, you tend to be more responsible such that you even concentrate on small aspects and minute details of your business which otherwise, cannot be achieved if someone else is involved. You cannot be sure that the other person would be as focused and dedicated as you. In this type of business, the customer is your investor, buyer and the only reason behind the sole existence of your business. If your customer doesn’t buy your product then obviously your business collapses and lands you in debts. So every decision is taken with the customer in mind. The overall focus of your company would be to improve the customer experience in addition to, expanding the user base. You would have definitely put in your maximum efforts to acquire funds for your business and hence, you would always find innovative ways to get the work done in a cheap, quick and an accurate way. You would also work on creative ways to improve your business as you are not answerable or committed to anyone for anything. Well, yes this type of business does have a lot of risk associated with it, as you allocate your personal assets to raise money and circumstances may arise such that you may not have a steady inflow of money during the initial years. However, once you learn the knack of bootstrapping then you are sure to enjoy a big large piece of share of the profits as you have no investors with whom you need to share the money! 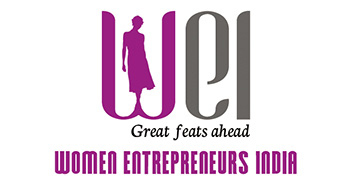 Women Entrepreneurs India is an independent initiative established with a social perspective in order to help women entrepreneurs grow in their fields of expertise. The organization was established in 2013 by Mahalakshmi Saravanan and has been providing compete support to women entrepreneurs. It facilitates training programs; education on new venture financial avenues, feasibility and enterprise benefits; motivation; encouraging innovative business ideas; support on product and services marketing and provides mentorship. The Udyog Aadhaar is a scheme which helps small enterprises register themselves under the Ministry of the Micro, Small and Medium Enterprises (MSME) through an easy and simple process of filling a one page user-friendly online registration form. Registration or incorporation is the first and foremost step in order to start up a business to run it legally. Registering a company is not an easy job and there exist several rules and regulations that one need to follow and adhere to in order to get registered in official records of Ministry of Corporate affairs. Promoting a business online is no longer an option- it’s a necessity now, it’s another important way of doing business. Going with the pace of time, online business might become the only option of doing business or the only option which people would prefer for trade and commerce. It is a widely known universal truth that for any small or large scale business to emerge successful you need a strong client base that constantly expands. Amazon is the world’s largest and most popular online retailer. It offers a wide range of products to the people through its website. From clothes, make up products to stationary items all are available at amazon.in. Amazon offers both buying and selling services to its clients and customers. We welcome all the women entrepreneurs aboard! - Become aware of the challenges ahead of you and be better equipped to overcome them. Contact us for more details. Women Entrepreneurs India provides the right tools that help in the start up and expansion of businesses, run by women entrepreneurs. We aim to create the required platform for idea exchange, business advising, entrepreneurship awareness, development, marketing support, mentorship opportunities, etc, which can help in the professional growth of the businesses.